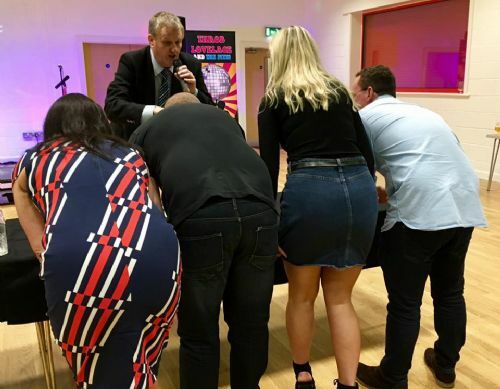 It’s the Club Presentation Evening and at the start of the night it was obvious it had been another very successful season for the Lloyds. 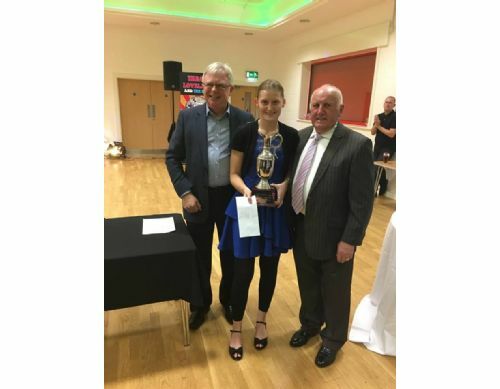 Our Honorary Vice-President Keith Bradley and Club President Liam Cormican present Paul Mottram and Amanda Ridley with the Most Improved Player of the Season Trophy. Well done Motty and Montessa. 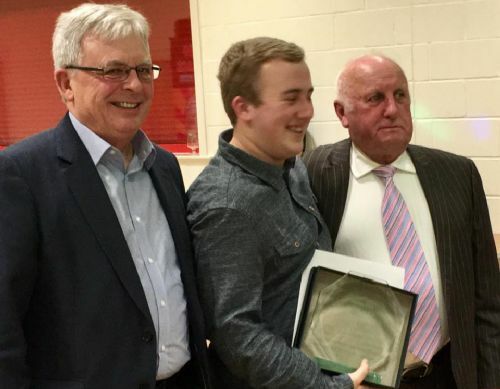 Our Honorary Vice-President Keith Bradley and Club President Liam Cormican present Craig McGuigan with the coveted Clubman of the Year Award. 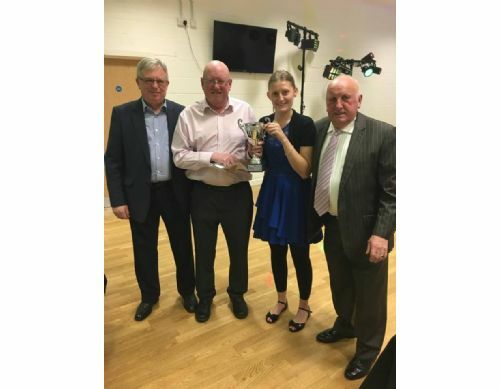 Our Honorary Vice-President Keith Bradley and Club President Liam Cormican present Amanda Ridley with the prestigious Players, Player of the Season Trophy. 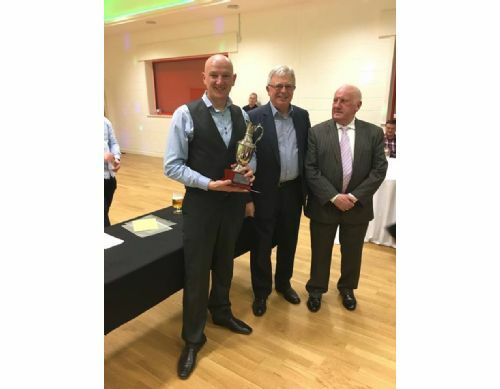 Our Honorary Vice-President Keith Bradley and Club President Liam Cormican present James Mills with a special award in recognition of his efforts on behalf of our Altrincham & District LV League 2nd team. 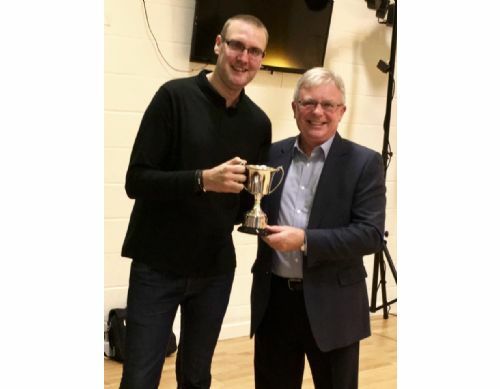 Our Honorary Vice-President Keith Bradley presents Ben “Banjo” Phillips with the Wilkinson Trophy. 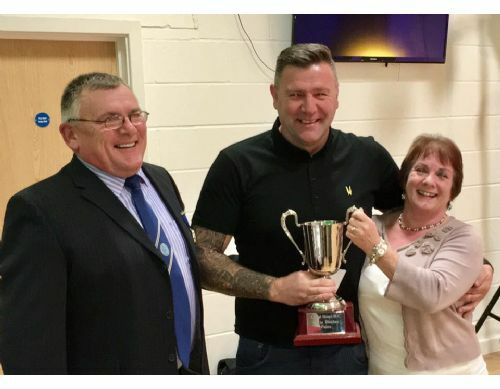 Steve and Pat Cook who once again sponsored the Chris Dooley Club Pairs Trophy present a very proud Paul Dooley with the Chris Dooley Pairs Trophy. 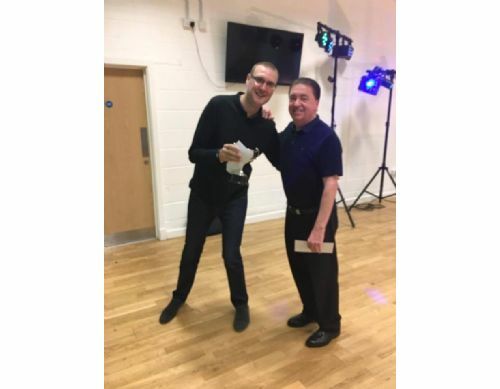 Well played also to Neil Williams who was unable to attend the presentation evening. 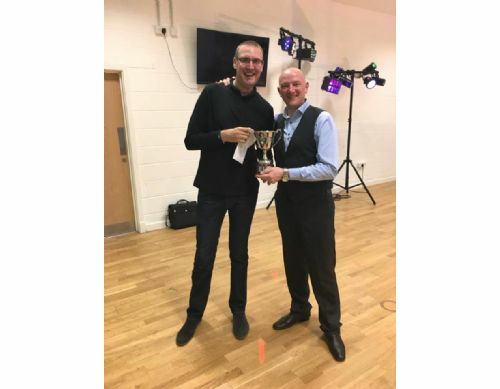 Club Merit sponsor Mike Geraghty presents Ben Phillips with the coveted trophy. Ben collected the trophy on behalf of his Dad, Club Chairman, Dave Phillips who was away on holiday. 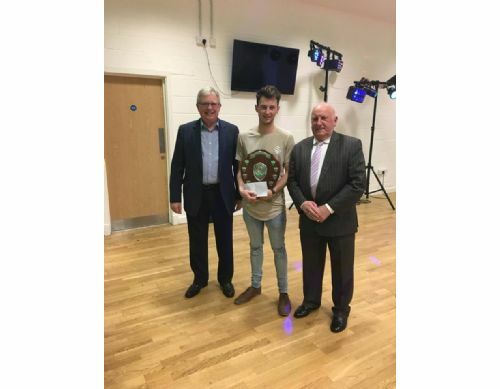 Our Honorary Vice-President Keith Bradley and Club President Liam Cormican present a delighted Luke Guess with the Presidents Shield. Craig McGuigan sponsor of the Club Champion of Champions competition presents a thrilled Ben Phillips with the trophy. 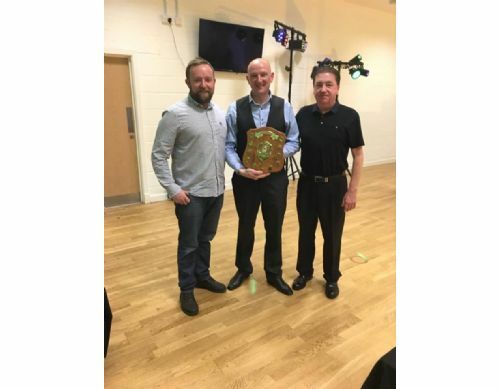 Our Altrincham & District LV League 1st team captain Craig McGuigan presents Chris Alderson and Mike Geraghty with the Captains Player of the Season Shield. 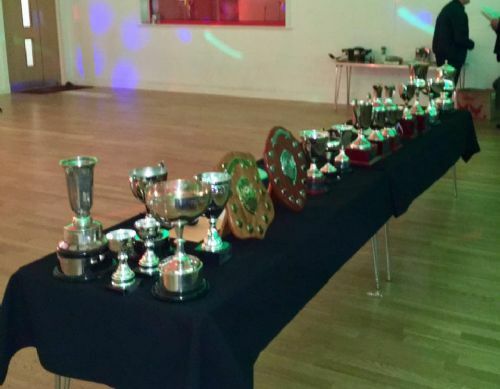 This years presentation evening was held on Saturday 26th November 2016 at Altrincham F.C. Community Sports Hall. Guests on the evening included Cheshire County Bowling Association Vice-President Mike Procter, Past President of the Altrincham & District LV League Ron Goddard, Trafford Evening League Secretary John Sleigh, Ann Lane, the niece of the late Andrew Tann (Greater Manchester County Parks), Jack Taylor from Metros Sports & Social Club and our Honorary Vice-President Keith Bradley.